The panel explored in-depth the creative direction and racial-political overtones of the film, directed by Martin Ritt, who almost always explored social issues and “movies about little people who went up against the system.” His methods and associations would eventually land him on the Hollywood Blacklist, accused of being a communist because he worked against the White Supremacist social and studio system. Ledisi also found the mix race jazz club scenes in Paris quite a powerful cinematic statement, because it’s a visual point of view that wasn’t explored in American films back in the 60’s. Of course Poitier swoops in and shuts that down, taking off with Diahann and leaving Newman to explore the city with Carroll’s white girlfriend, actress Joanne Woodward. A curious observation about the couples, as Ava and the panel noted was, while Newman and Woodward were allowed to explore their budding romance in the city of love, Carroll and Poitier’s union was plagued by the stress of being black, and it’s all the filmmaker would allow them to talk about. 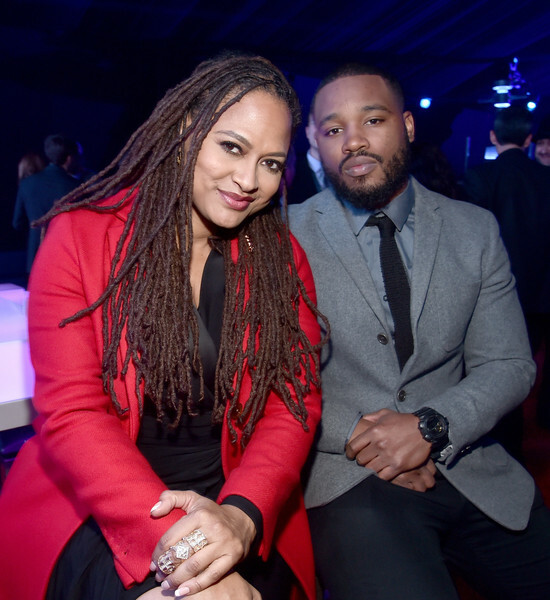 Newman and Woodward “never talked about being white,” Coogler said. Carroll’s character has an activist mindset, where as Sidney is constantly reminding her that he left racist America so that he wouldn’t have to lead a life defined by his blackness. Carroll pretty much tells him that she can’t deal with a black man who is too afraid to face all the challenges that come with being black in white society. The on-screen couple aren’t even allowed to be affected toward each other until their last scene together, which comes at the very end of the movie. It’s a moment that reminds you how Hollywood STILL takes issues with depicting black love. Ava also led the panel into a discussion about the issues black artists have with being defined by their race, and not their art. Coogler said that while Hollywood’s ‘Black Filmmakers Lists’ may be designed to make black artists feel “less than,” he still feels honored to make the cut because he “likes that aspect of the job” – being a black man and a filmmaker – the label doesn’t bother him as much as it does soul singer Ledisi, who explained that her skin complexion and dreadlocks will always define her as an artist. The overall theme of “Paris Blues” is freedom. The freedom all artists want, and the freedom defined by the human condition. There’s a scene in the film where Sydney talks about a bird being the most free creature on the planet, until you put it in cage, and the film makes you wonder if the freedom and lure of Paris serves the cage for our two male leads, or was the racist social system of America, from which they sought to escape, the birdcage? That question was an Aha! moment for Ava and the panel. For more information about Ava’s series, click here.